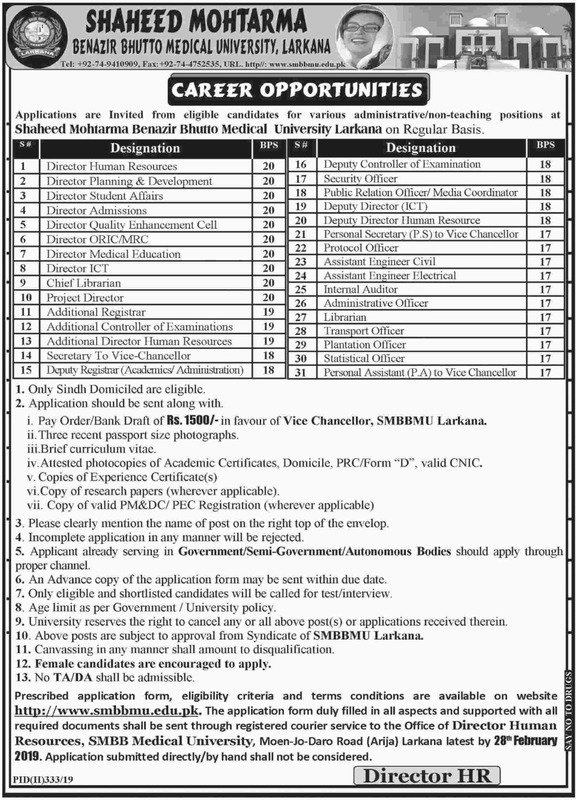 The complete information about Shaheed Mohtarma Benazir Bhutto Medical University Larkana Jobs 2019 SMBBMU Sindh is at this page. 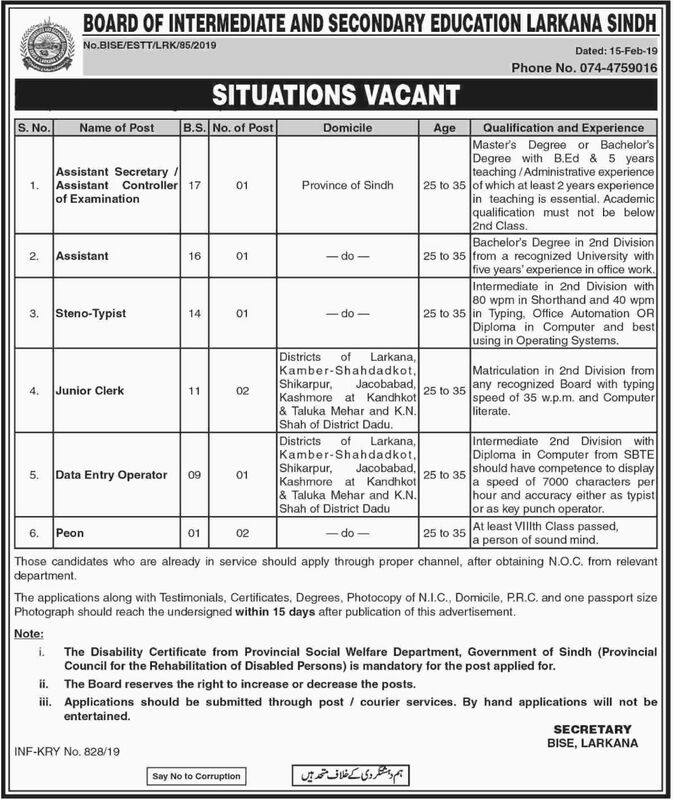 The positions of Director, Chief Librarian, Project Director, Additional Registrar, Additional Controller of Examinations, Additional Director Human Resources, Secretary to Vice Chancellor, Deputy Registrar, Deputy Controller of Examination, Security Officer, Public Relation Officer, Deputy Director, Personal Secretary to VC, Protocol Officer, Assistant Engineer Civil/Electrical, Internal Auditor, Administrative Officer, Librarian, Transport Officer, Plantation Officer, Statistical Officer, Personal Assistant to VC are vacant. 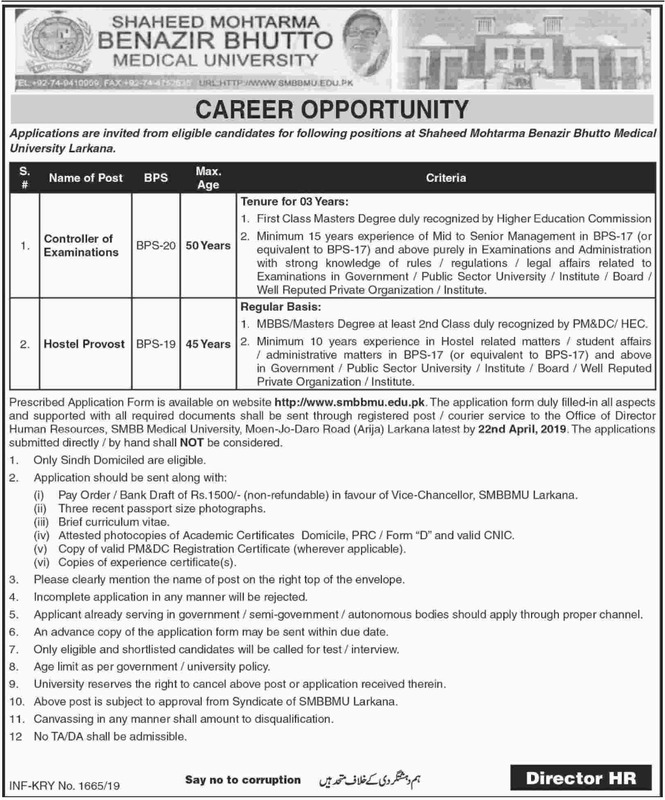 For more details, visit www.smbbmu.edu.pk. 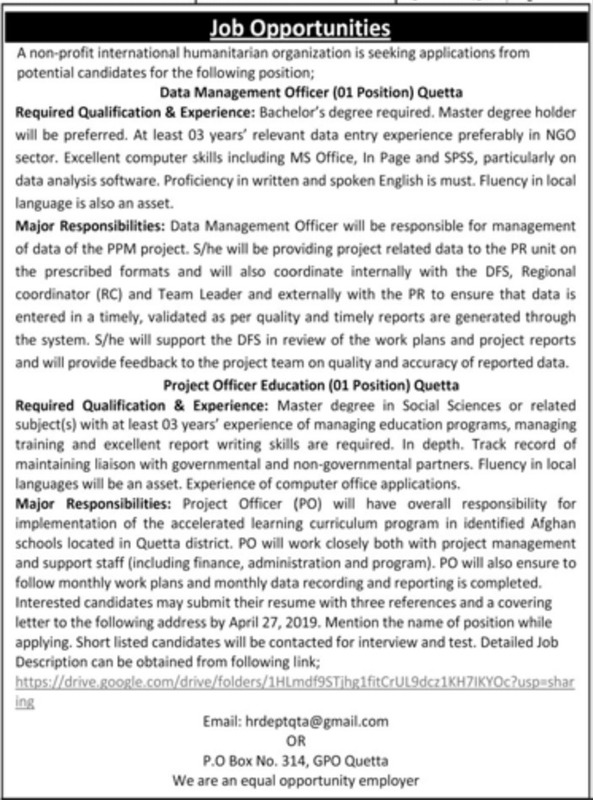 The last date for submission of applications is 28th February 2019. 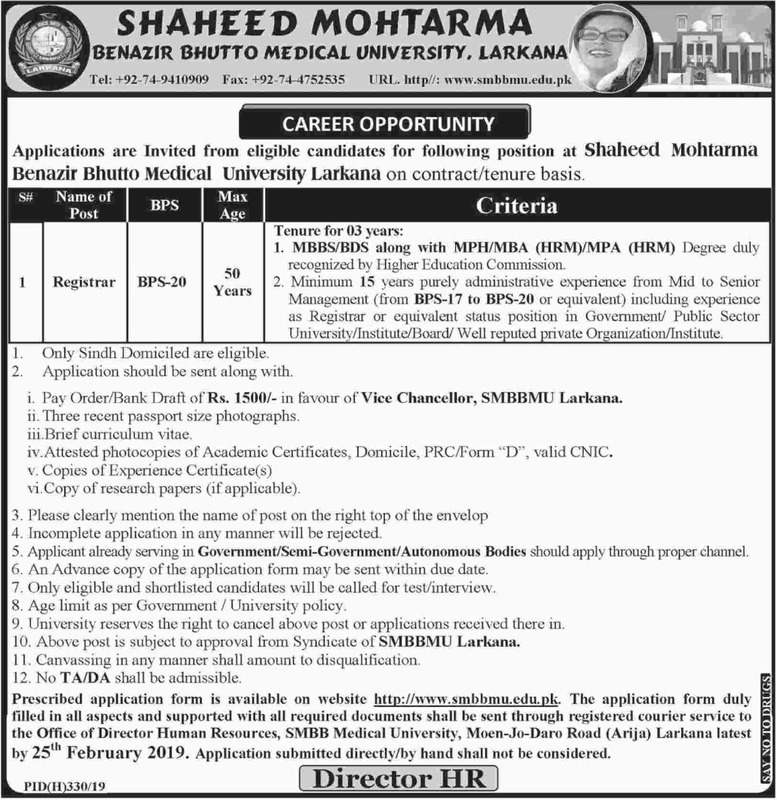 See job advertisement of Shaheed Mohtarma Benazir Bhutto Medical University Larkana published in Daily Dawn and Daily Jang for further information.